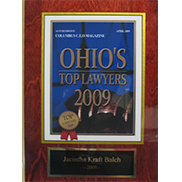 One of the goals of Balch Law is to help our clients to make informed decisions. To do that, we help our clients to understand the relevant area of law, discussing the law in easy to understand terms. 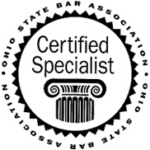 The State of Ohio, through its Statute of Descent and Distribution (Ohio Revised Code 2105.06) provides to whom property is to be distributed if a person dies without a Will (intestatcy). The Probate Court will appoint an administrator with limited authority under the Court's direction, to handle the estate, including paying of debts. paying taxes, and distributing the property pursuant to the State distribution statute. The people receiving the property will be the people that are set forth by Statute, who are not necessarily the persons whom the decedent would have wanted to get his or her property. An intestate estate (a decedent's estate where there was no Will) usually takes longer and costs more than an estate where the decedent had a Last Will and Testament. A person who dies with even a simple Last Will and Testament can choose where his or her property goes and nominate an Executor with adequate authority to handle his or her estate through the Probate and estate tax process. The advantage of avoiding probate is that Probate is public record, time-consuming and costly. There are several ways to avoid Probate, including beneficiary designation, transfer on death (TOD) and pay on death (POD) designations, joint with right of survivorship accounts, and the creation and effective use of a Trust. 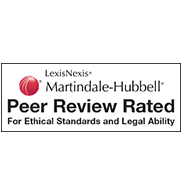 What are the advantages of creating a Trust over other forms of methods of avoiding Probate? A Trust created by the Grantor (creator of the Trust) during his or her own life can offer the Grantor a way to avoid a guardianship in case of incapacity by having marshaled his or her assets for the Grantor's care. Such a Trust can also provide for the Grantor's dependents if the Grantor so provides. At the Grantor's death, the assets that are in the Trust, as well as the assets received by the trust through beneficiary designation, transfer on death and pay on death to the Trust, avoid Probate. Assets that are not in the Trust already or do not otherwise pass to the Trust from such non-Probate designations, pass through Probate, usually passing to the Trust from what is called a Pour-Over Will (because it pours over to the Trust). Equally important, a Trust permits the Grantor to provide detailed distribution provisions of the trust property at the Grantor's death. Other Probate avoidance methods such as transfer on death and pay on death arrangements do not provide for what happens when one of the listed beneficiaries are dead. Thus, for example, if you list your three children as pay on death beneficiaries of your bank account and one of your children predeceases you, your deceased child's children will likely not receive anything. Likewise, if you have placed your children on your accounts as joint with right of survivorship, if one of your children predeceases you, then that deceased child's children will not receive anything. Another problem with such non-Trust Probate avoidance methods is that such methods do not provide for the care of minor children. For example, if you are survived by your minor child, a pay on death or transfer on death account or joint with right of survivorship account that would pass to your minor child will be placed in a probate controlled guardianship until the child turns age 18 years, at which time the child gets all of the assets outright, to use as the child wants to buy that hot new red sports car, not necessarily to pay for college. In a Trust, you as the Grantor can provide both for yourself and your family as YOU desire. What type of trust do you recommend? Because everyone's situation is different, a Trust needs to be tailor made to fit your needs. Many people often choose a revocable Living Trust (a trust created by the Grantor that can be changed during the Grantor's life that becomes irrevocable at the Grantor's death). The Grantor often can serve as his or her own Trustee (the administrator of the Trust), but Grantor should have well thought through successor Trustees (whether individuals or a corporate Trustee) as successors so that when the Grantor is no longer able to serve as Trustee, a competent Trustee is ready to serve. Most people creating a revocable Living Trust want as much flexibility as possible built into the document. Because tax laws can and do change, such flexibility can be built into the Trust to provide as much tax planning flexibility as possible. The Grantor can also provide that after the Grantor's death for the care of the Grantor's spouse, the care of the Grantor's children until they reach a designated distribution age and any special needs in the Grantor's family, such as providing for a handicapped or special needs child or creating incentive trust provisions (provisions to encourage beneficiaries to grow into productive adults). Trusts can have special provisions in them drafted to meet the Grantor’s specific needs. For example, a Grantor may want to include provisions for a child or other beneficiary to have incentives built into the Trust to encourage certain behavior, such as going to college, or to discourage certain behavior, such as encouraging that child or other beneficiary to get off drug or alcohol dependency. Another form of trust is the Charitable Trust, where the Grantor creates a Trust reserving an interest in the trust assets for the Grantor's life or for other individual's lives and then to charity (charitable remainder trust), or where the Grantor provides a term of years for charity and then the property passes to individual remainder beneficiaries (charitable lead trust). Charitable trusts are often done not only to satisfy charitable desires but also to obtain tax savings. In summary, there are many reasons to create a trust, including incapacity planning, tax planning, family distribution planning, beneficiary special needs planning, gift making planning, charitable planning, and charitable gift planning, but the most important planning is for YOU and YOUR FAMILY! To Make sure that your assets are in your Trust during your lifetime and available for you, Balch Law recommends that you FUND your Living Trust, to the extent that you so choose. As stated above, if the assets are not in the Trust at your death or pass to your Trust at your death, those assets pass through Probate at greater expense in terms of time and money. To fund your Trust, you need to move assets that are in your name into the name of the Trust. For example, if John Smith creates a revocable Living Trust and if he is his own Trustee, he would reregister his assets into the name of John Smith, Trustee, of the John Smith Trust dated (date of creation). John Smith could, for example, do this for his bank accounts, brokerage accounts, and for his real estate. The only assets that often should not be put into a Trust are retirement account assets (such as IRA's, 401(k)'s, etc), because better tax treatment may be available for designated beneficiary individuals. Balch Law works with you as to how to fund your Trust, which assets to place into your Trust, and what are the best retirement account beneficiary designation options for YOU.